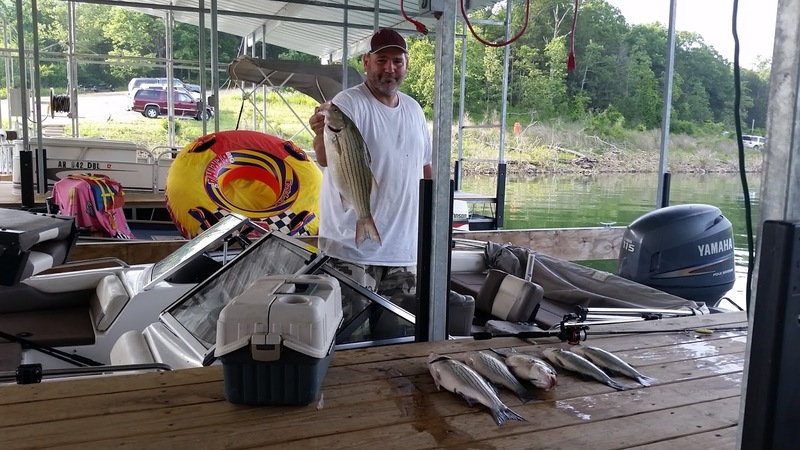 Fishing on Norfork Lake continues to be good and the fish are starting to transition to their early summer pattern. Basically what I am saying is that the fish are starting to go deeper as the water warms. 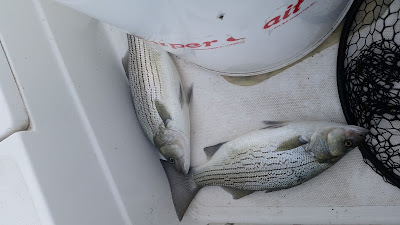 I have found stripers 20 - 40 feet down in 50 to 100+ feet of water. At this time they seem to be relating to the sides of the main channel on the main lake especially in places where the channel swings in close to the shoreline. If things are typical this year, you will find them on the deep flats early in the mornings then in the deep channels late morning and during the day. The stripers are feeding on shad and crawdads at this time so there should be a good bite before daylight. 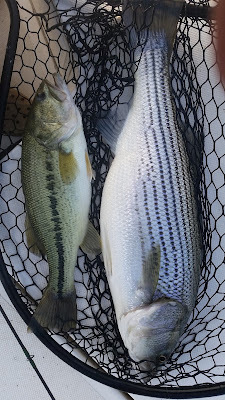 The hybrids and white bass are being found at all depths, including good topwater action for both of these species. The problem at this time is that they are travelling all over the place and may come up along the shoreline or out in the middle of the lake. When you are traveling keep a close eye out for white water as it could happen anywhere at any time. Largemouth, smallmouth and spotted bass fishing has also been good. Early in the morning they are still coming up for topwater baits and as the day wears on jigs and swim baits are the way to go. The after dark bite has also been good. 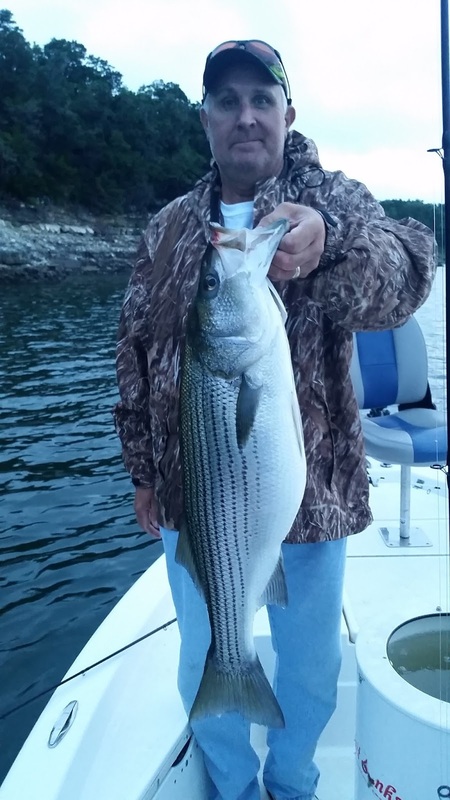 The best spots where the anglers are finding these fish are on shallow points with buck brush out in the water. The deeper fish are out in 15 - 25 feet of water on the bottom. 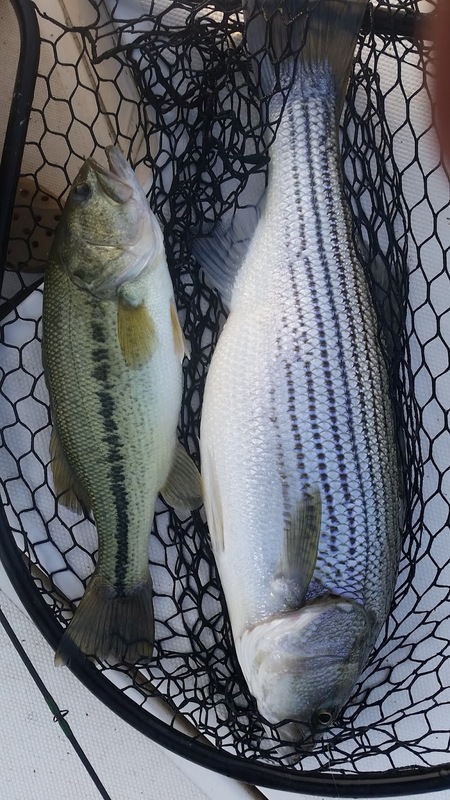 Rocky points are a great place to start fishing for bass. 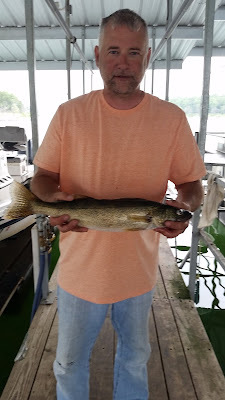 Walleyes are continuing to bite and can be found in the same locations as the largemouth bass. Again early in the morning they are up shallow feeding then as the sun comes up they move out to 15 - 25 feet of water on the bottom. Vertical jigs and crawler harnesses are picking up some nice fish. The current lake level is at 553.88 and holding fairly steady with one generator running continuously. The surface water temperature is warming and is in the mid 70's. The main lake is clear and the creeks and coves are once again starting to clear. All in all the lake is in great condition for fishing and for the summer time vacation lake lovers.